The Clare ladies head to Dublin this weekend with a singular, unsurprising, focus – winning. Roll the calendar back a year and they embarked on the same journey. It ended in disappointment last September 28 when Tipperary trundled over Clare’s intermediate championship winning aspirations. Although it didn’t appear to impact upon Tipperary, perhaps the Croke Park sideshows disturbed Clare’s concentration. This time they have no excuse. Apart from a number of players, including Louise Woods, Rachel Lenihan and Sarah Hoey, who have forced their way onto the team, or at least into the first 20, the remainder have sufficient experience to know what’s ahead. So far, Clare have played some excellent attacking football in reaching their second successive national intermediate final. They have averaged 0-21 per game in their four outings but have conceded an average of 0-15. Putting it simply, Clare will have to be a bit more conservative defensively this weekend but maintain their attacking threat. For example, if one midfielder breaks forward, the second will have to fill the space in the middle of the field or perhaps a half-forward, not involved in the play, could drop back temporarily. Equally, attacking half-backs will have to be capable of getting back if the play breaks down. Corner-backs playing in Croke Park never want to witness acres of open space in front of them, unoccupied by a colleague. Clare have several excellent defenders fronting Denise Walsh, who was player of the match in Clare’s semi-final win over Waterford. Sineád Kelly, Michelle Delaney, Sineád Eustace and Lorraine Kelly are very capable backs, adding know-how to the younger defenders like Louise Woods and Sarah Hoey. Coolmeen’s Grace Lynch must be close to getting a start as well and, if she doesn’t, she would be a quality player to spring from the bench, as would Cooraclare’s Bernie Kelly. The prairie-like open spaces in Croke Park won’t appeal to any Clare defender, who is either being ran at or hit with quick diagonal ball. 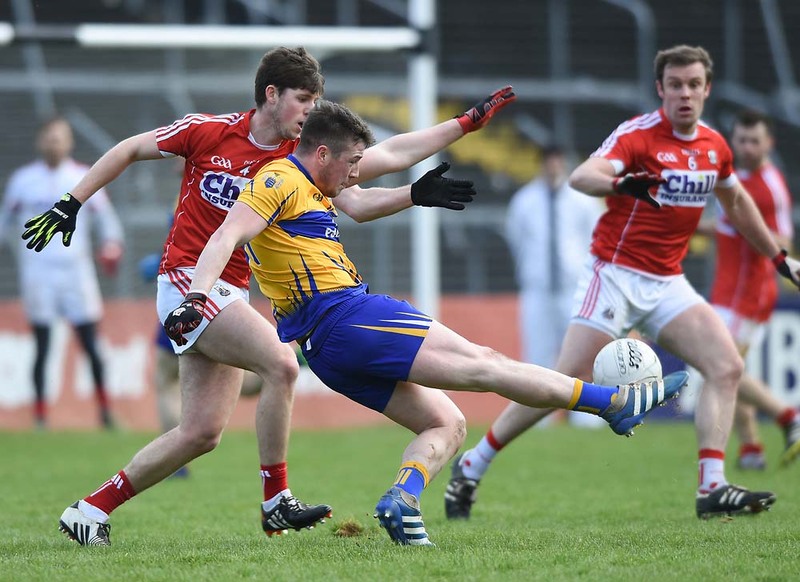 However if Clare have their defensive plans clearly laid out, they should be ready for Fermanagh. Louise Henchy and Fiona Lafferty are likely to link up in the middle of the field, while the forward division is filled with footballers of impressive attacking talent. Áine Kelly is one of the deadliest poachers in the country and has scored 4-9 in the current championship campaign. Majella Griffin is scoring freely from frees and play, while Niamh Keane, now at full-forward, links the two attacking lines impressively and has chipped in with 1-9 in Clare’s four games. Eithne Morrissey adds significant ball-winning ability to the half-forward line and was the primary winner of Clare’s kick-outs against Waterford. This tactic may be more difficult to enforce against Fermanagh as it might result in the Cooraclare girl having to drop too deep, leaving the half-forward line shorn of her presence. Kilmihil’s Eimear Considine adds class, pace and scoring power to the Clare attack, while Crusheen’s Rachel Lenihan has secured a place at wing-forward this year. Players like Marie Considine, however, must be very close to winning a spot in the first 15, while Anne Marie Callinan is another quality forward who may feature. Sandra Malone, (Miltown) who played at midfield last year is sidelined with injury, as is Colette Corry (Shannon Gaels). Amongst Fermanagh’s leading players are wing-back Donna McGuire, midfielders Aisling Moane and Caroline Little, along with attackers Kyla McManus and Shauna Hamilton. Clare have done everything asked of them so far this season. They maintained their division 1 league status and reached Sunday’s All-Ireland final. Now though they face into the ultimate examination of their character and ability. Last year could be termed a learning experience. This time, for their own sake, they must deliver.